Iron Maiden have announced details of their 15th - and some are speculating final - studio album release. 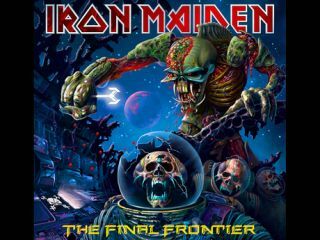 16 August 2010 (17 August Stateside) sees The Final Frontier available in all good record stores and digital music outlets but fans can get a taster right now by downloading El Dorado for free from the official Iron Maiden website. The Final Frontier saw Iron Maiden reunite with legendary producer Kevin Shirley at Compass Point Studios, Nassau, where the band's classic Piece Of Mind, Powerslave and Somewhere In Time LPs were recorded in the 1980s. The Final Frontier World Tour begins in Dallas on 9 June. Click here to read the full press release on the new album.